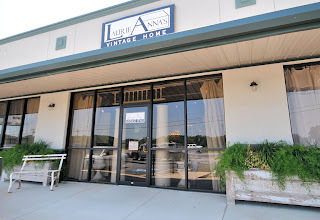 LaurieAnna's Vintage Home: Especially For Our First Time Visitors! Especially For Our First Time Visitors! First Monday is almost upon us! We are excited about all the new friends that found us via the Southern Living article! Welcome! 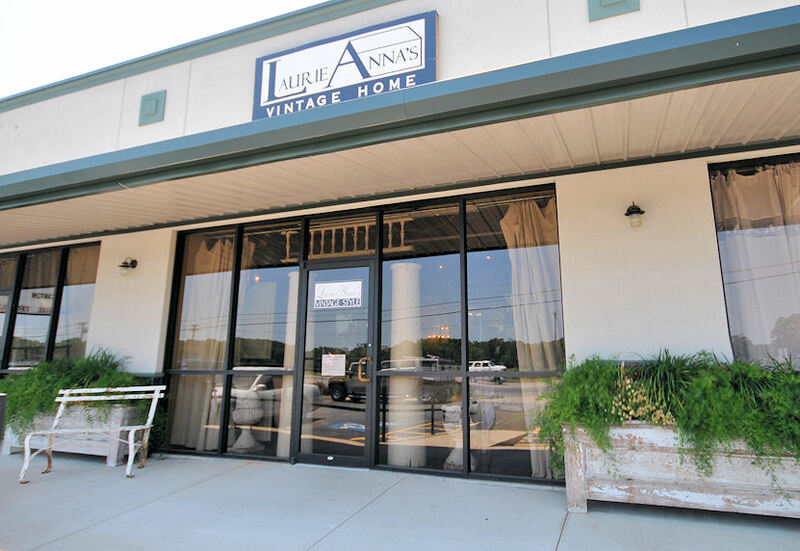 Be prepared to spend some time, our Shoppe is over 5,000 square feet and filled to the brim with vintage inspired loveliness! 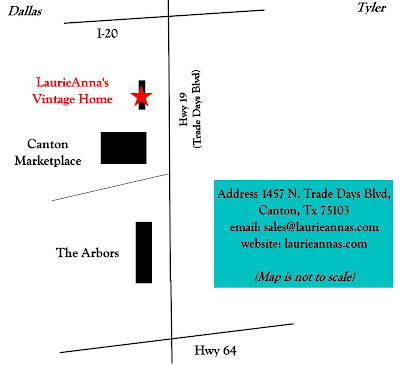 If you have other questions, feel free to email us at sales@laurieannas.com. If this is your first visit to Canton, we can hook you up with some great places to stay and eat! We are so excited to have you visit! P.S. Many of us are experiencing technical difficulties on Blogger, comments aren't working properly and the followers gadget has temporarily disappeared. Blogger is working on it, we just have to be patient! 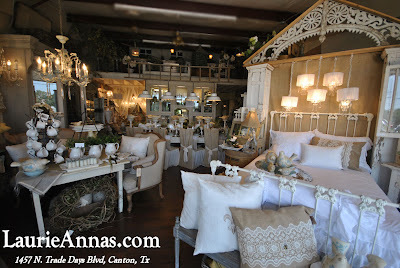 LaurieAnna, It is Just Beautiful..
Love it and so Happy-Proud-Amazed at Your Darling Building-Shop.. I was so excited to see you in Southern Living! Congratulations! And I just saw your ad in Romantic Homes too! Have a great weekend! First time visitors will be wowed! I am always sending local folks your way, and they love it. I'm hosting a meme this Sunday called "Where do you keep it all? - Part 2". It would be great to have you join in the fun! I think this is a perfect place to buy some furniture in my new home.